About 34 vessels expected at seaports across the country, particularly in Lagos, may be impeded by dockworkers’ strike.This was contained in the Shipping Position issued yesterday by the Nigerian Ports Authority (NPA). It revealed that many of the vessels are conveying Premium Motor Spirit (PMS) otherwise called petrol, Automated Gas Oil (AGO) or diesel, and general cargo goods, as well as sugar and wheat. 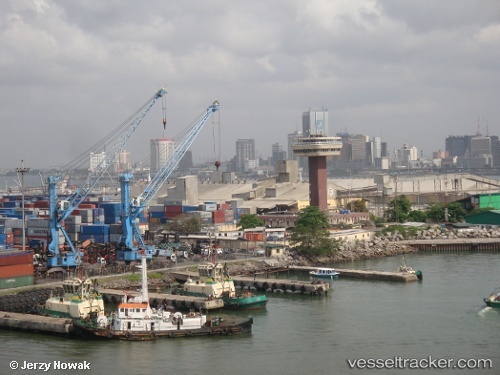 The vessels, slated to arrive Lagos pilotage district from today to the end of the month might be in jeopardy, as dockworkers have endorsed the strike and are ready to shut the ports from business activities.However, four vessels that are waiting to be berthed and eight motor tankers that have already arrived the ports might be affected by the industrial action. At least 30,000 metric tons of cocoa are trapped on their way to ports in Nigeria’s main city of Lagos as roads in a state of disrepair delay access to ships, the cocoa exporters body said. Travel to the Apapa and Tin Can Island ports that previously took hours, now takes as much as four weeks as trucks struggle through cratered and water-logged roads to get there, Pius Ayodele, president of the Cocoa Exporters Association of Nigeria, said. The affected cargoes are either in traffic jams or stored in transit warehouses in Lagos. “A greater part of this travel time is spent at the epicenter of the congestion which is just 6 kilometers (3.7 miles) to the ports,” Ayodele said by phone from the southwestern cocoa-trading center of Akure.